The men's Apprise Pant from Dare 2b is a great pant for those new to the game or anyone who rocks the resorts a couple of times a year. The fully seam-sealed ARED 5,000 coated fabric is breathable, waterproof and lined with low-bulk insulation for toasty warmth. 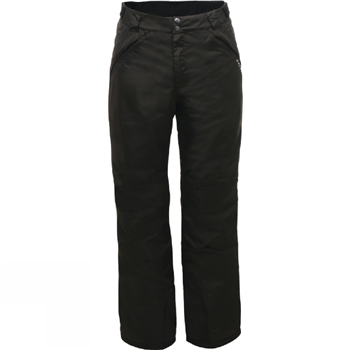 The waist adjusts for a comfy fit and inner gaiters help keep the powder out. Dare 2b's Ared fabrics are guaranteed to keep the wet out. When you are active and working up a sweat Ared fabrics will ensure your body doesn't cool down from stale trapped sweat by allowing moisture to escape. All jackets and overtrousers are treated with a water repellent finish so the water simply rolls off and won’t retain moisture. Once the wind rolls in a sunny day on the slopes can turn cold in a flash. Ared fabrics are designed to be windproof so you can't feel the chill.